Are you looking forward to hanging up your holiday lights this year? Most of the time people shake their heads and look sick. Everyone loves Christmas but very few people take joy in climbing through their dirty and dusty attic searching for that box of Christmas lights that your sure are not even going to work. Nobody likes climbing on the ladder or dangling from the roof trying to get those light straight. Why not let us take care of the Tulsa holiday lights for your home this year? Green Leaf is ready to do the work for you. Call today at 918 – 437 – 0333. Green Leaf is known throughout Tulsa for providing quality landscaping service, weed control and lawn care service. But there’s a special place in our heart for the holidays. And there’s also a place in our heart for over exceeding expectations of our customers and that’s why we take care of holiday lights for your home. Homeowners everywhere are looking for someone to hang up their lights but do an excellent job. Green Leaf guarantees professionals and quality lighting technicians to hang up your lights. And it might be a good idea for homeowners to compare energy here to make sure their quality lighting doesn’t affect their energy bills too much. Price comparison provides optimal results I hear. Everybody loves Christmas. But the truth is that it is awfully busy especially when December 1st hits. Everyone is rushing to purchase those gifts and find that ideal Christmas tree. They also have to book that hotel for their in-laws who are flying in at the last minute. There are countless things to do on your list and hanging lights is one of them. You want your home to look absolutely fantastic but you simply do not have the time. Allow Green Leaf to step in and give you exactly what you need when it comes to turning your home into the best Winter Wonderland. How do we do it? First we arrive straight to your home and we give you a free home estimate on the lighting. We also talk to you about what your vision is and what exactly you want this home to look like when the job is done. Then we also make sure to stay within your holiday budget because we understand that everyone has one. We want to make sure that this house sparkles in the neighborhood and that it will impress your neighbors. This holiday season doesn’t have to be like last year. This holiday season can be completely stress-free. To find out more about how you can get a hold of the lighting experts to set up your Tulsa holiday lights please don’t hesitate to give us a call. The sooner you plan this the better. Make certain that this Christmas is going to be the best yet and that your home sparkles like a holiday retreat. We hang up the lights, we clean up the mess and you don’t do any of the work. Christmas comes early when you call Green Leaf today. 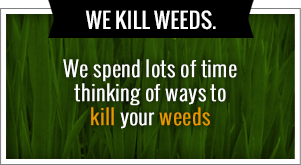 Green Leaf is known throughout Tulsa has the leading professionals in lawn care and weed control. But Tulsa holiday lights? How do we do that? It’s simple. We understand that Christmas is the most wonderful time of the year but it’s also the most busiest. There are 100 things on your list and putting lights on your home is one of them. Here at Green Leaf we want to provide you with the excellent professional lighting technicians to turn your home into the ideal Winter Wonderland. Impress your neighbors this year and mark it off your Christmas list. 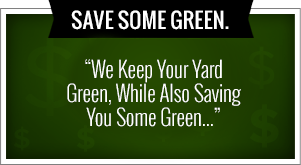 Call Green Leaf today at 918 – 437 – 0333. You have things to get done. We completely understand and we understand how busy the holidays can really be. You have to purchase the gifts, make sure the gifts are right and stick them underneath your tree. Oh wait you have to get a tree. You have to find the tree, make sure it’s the right shape and be absolutely certain it’s going to fit through the front door. Then you have to book that hotel for your in-laws who are flying in from Florida at the last minute. We understand that your list gets longer and longer as December gets closer. That is why Green Leaf is here to help with your Tulsa holiday lights. Our professional lighting technicians arrive on-site at your home to give you a free estimate on your holiday lights. We make sure to take measurements and we also talk with each homeowner to make sure that we understand their vision perfectly. This is your home and it should look exactly the way that you want. We also provide suggestions on how we can improve and how we can make your home sparkle this Christmas. This is your opportunity to impress your neighbors and your in-laws when they fly in next week. Are you planning a holiday party? No problem. Holiday parties are everywhere when Christmas rolls around. But we are proud to announce that we connect you with the experience party and lighting professionals that you been searching for. These are the people who are able to give you creative lighting and suggestions on how to make your holiday event the best that anyone’s ever seen. We want to make sure that your holiday event is a smashing success by giving you the best quality in Tulsa holiday lights. So give Green Leaf a call today or visit us online if you need any more information. This Christmas does not have to be extremely stressful. This Christmas can be the best yet and your Tulsa holiday lights will draw everyone straight to your home. Make sure that everything is in order and you plan ahead this year. Green Leaf is waiting for your call and ready to provide you with the most professional lighting technicians in the city.